Introduction: Thanks to the development of next generation sequencing (NGS), recent studies have shown that the lung of patients with cystic fibrosis is a complex poly-microbial flora, also called the CF lung microbiome, which includes not only bacteria but also fungi (yeast and filamentous fungi), and viruses and phages. Dysbiosis (loss of the abundance and the diversity) of the lung microbiome has been associated with the patient’s decreased lung function and poor clinical status. Indeed, NGS is a technique that may introduce biases on numerous methodological steps. One of the most important biases is that this technique could not differentiate among the living microorganisms, the dead or damaged cells, and the extracellular DNA. Our study aimed to determine whether a sample pretreatment with propidium monoazide (PMA) in NGS, which can target selectively the DNA of viable cells, could reflect more closely the clinical status of patients. Methods: We compared NGS data of bacteriome and mycobiome of 15 sputum samples from 5 CF patients that were characterized using the Ion Torrent technique with and without prior PMA treatment of the DNA-extracts. Results: PMA pretreatment had no significant effect on the entire and abundant bacterial community (genera expressed as operational taxonomic unit with a relative abundance of ≥1%) but caused a significant difference in the rare biosphere community (< 1%) when analysing the alpha biodiversity Simpson index (p=0.029). Similarly, regarding beta diversity (non-metric Bray-Curtis dissimilarity analysis), the rare phylotypes also differed more dramatically than the total and abundant ones. Regarding the mycobiome data, there was no difference between PMA-treated and untreated samples. Conclusion: PMA pretreatment seems to change the relative abundance of bacteria, especially in the rare populations, but not fungi. Given such a cumbersome protocol (PMA pretreatment coupled with NGS), we discuss its potential interest within the follow-up of CF patients. As only few studies suggested the use of this protocol in the characterization of the bacteriome may be clinically relevant, further studies using PMA pretreatment are warranted to improve our “omic” knowledge. 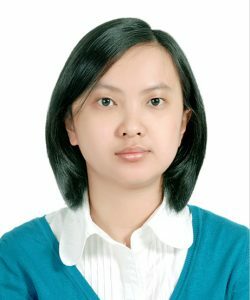 NGUYEN Do Ngoc Linh graduated from Hanoi medical school in 2011. Then she completed her Master in Microbiology at Paris XII University then her PhD at the age of 30 years at Pasteur Institute of Lille. She has published 4 papers in international journals. Her field of interest is medical microbiology, human microbiome and metagenomics analysis. Actually she is the head of academic affairs and scientific research of Phan Chau Trinh University in Quang Nam. Her career path is to contribute to the medical education and scientific research, especially in the “omic” field.